TV News- Lauren Cohan will return to The Walking Dead Season 9. Lauren Cohan’s stint on The Walking Dead isn’t dead after all. 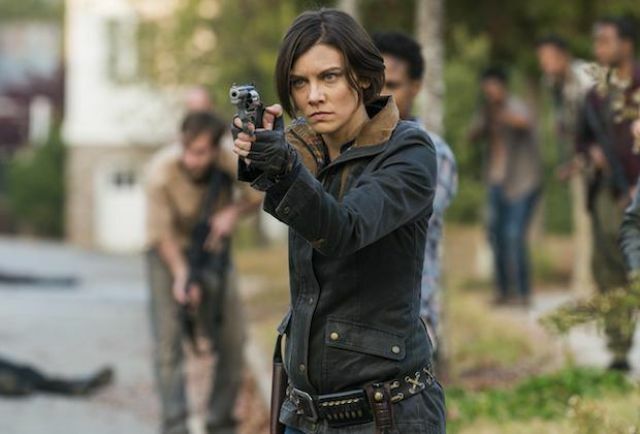 Cohan, who plays Maggie Rhee (née Greene) on the acclaimed AMC post-apocalyptic horror series, confirmed at CinemaCon in Las Vegas on Tuesday night that she’s definitely coming back to the show for season 9. Cohan’s connection to The Walking Dead has been jumbled-up, perplexing, and anything but clear in recent months. When her costars Andrew Lincoln, who portrays Rick Grimes, and Norman Reedus, the man behind the formerly badass Daryl Dixon, signed on for season 9 seemingly without batting an eye, Cohan was holding out while she negotiated for higher pay and a better deal. AMC reportedly offered the actress a “modest salary increase” in exchange for her signing a long-term contract for the series, but she rejected it, an apparent standard practice in high-stakes re-negotiations. Shortly after, Cohan was said to be in “active negotiations with AMC to extend her Walking Dead deal into season nine and beyond,” and hadn’t given the Walking Dead team any indication that she was seriously considering leaving the series. However, the situation grew more complicated — and past reports seemed to get negated — when Cohan climbed aboard the ABC pilot Whiskey Cavalier. It appears that now, Cohan is signed on for both her long-standing role as Maggie on The Walking Dead and her new gig on Whiskey Cavalier. Fingers crossed she can juggle both commitments.